CBD is a natural compound extracted from the Hemp plant. No. CBD is non-psychoactive, non-addicting and non-intoxicating. 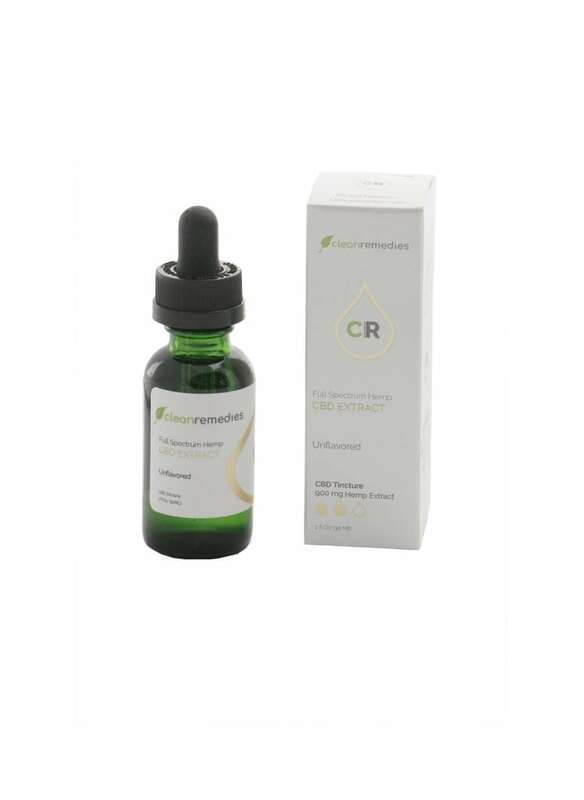 Are there any side effects of using Full Spectrum Hemp CBD Extract? According to a report from the World Health Organization, “no public health problems have been associated with the use of pure CBD”. CBD can interact with prescription drugs. For people using prescriptions, we always recommend consulting with your physician first. Is Hemp CBD the same as Marijuana “Weed”? No, they are two different plants. Hemp has a higher concentration of pure CBD and a much lower concentration of THC (less than 0.3% as federal regulations limit) and is non-psychoactive. Marijuana is the opposite – higher concentration THC and lower concentration of CBD. ECS is a system within the human body that produces natural cannabinoids that interact with ECS receptors in the brain and other areas of the body. Since there is a trace amount of THC in Hemp Oil, there is a possibility of a positive reading during a drug test. Our tests have not shown any positives, but we recommend consulting with your physician and employer if this is a concern. Can I take CBD products along with other prescription medication? As with any dietary supplement we recommend consulting with your physician. Tinctures are the most popular form of consumption for using CBD hemp oil. They can be taken in droplet form and placed under the tongue, or mixed with any liquid and then consumed. A huge variety of strengths are available, ranging from 10mg to 3,000mg per 1000ml (one ounce). However, different bodies have different requirements and tolerances, and it may take a little experimentation to find the perfect one for each individual. Capsules are a fairly new method of medicating. They come in different varieties containing different milligrams of CBD for the pain or inflammation. CBD oil can be used topically (on the skin) to help relieve pain from certain conditions. People with arthritis, fibromyalgia, muscle and joint pains can testify to the easing of the aches and pains that they feel on a regular basis. Why we chose Clean Remedies? 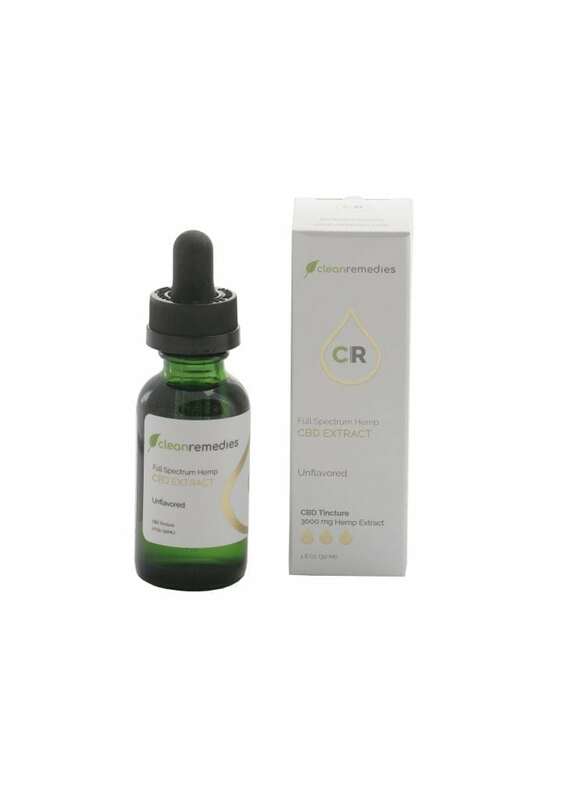 Clean Remedies CBD Oil is the highest quality full spectrum hemp extract we have found to date. Their price per dosage is also the best we’ve found. When you couple the highest quality with the best price per milligram of CBD, you can’t go wrong. Their regular strength bottle contains 900 milligrams of CBD and their high strength bottle contains 3,000 milligrams of CBD. Check your bottles carefully, you might be surprised at how much less you are getting for your money. We have Clean Remedies CBD Full Spectrum Hemp Oil and Mary’s Nutritionals CBD Cream available at our gym. You can purchase Clean Remedies 900mg or 3000mg CBD Oil here. By purchasing here on our website, shipping is free and sales tax is included in the purchase price. Hi, I’m Bill Russell, co-founder of CrossFit Cleveland in Rocky River, OH, that my wife Staci and I establish back in 2007. Today I’m going to talk a little about CBD. What it is. What it does, and how to know which type to use and which brand is best? I’ll give you some basic information, talk about my personal experiences and help you know how to compare types and brands. I’ll also cover some frequently asked questions. At the end I will give you a couple links to more information if you want to really dig in to the geeky details. I’ll try to keep this in simple terms and let you pursue the links if you want more details. I can tell you this, most of the CBD products you’ll find are overpriced and low quality, and many don’t even contain any helpful ingredients. Their labels are designed to fool you. I’ll try to help you know how to tell the good from the not so good. We’ve all heard about medical marijuana and its effectiveness in helping with a host of conditions, especially anxiety and chronic pain relief. Cannabinoids are the chemicals that qualify the plant as a drug, because there are receptors in our bodies and brains that interact with those cannabinoids. These receptors do not exist in our bodies simply to react with the cannabinoids in marijuana, our bodies actually make their own cannabinoids, called endocannabinoids. More is being learned every day. The two most common cannabinoids are THC and CBD, short for cannabidiol. THC is the one that gets people high. CBD does not, it is non-psychoactive, but it does have remarkable effects on the body. The problem is that marijuana is illegal unless you have a prescription or live in a state where it is legal for recreational use. The other problem is that is does get you high, so its applications are limited. There is a legal form of CBD and it’s derived from the hemp plant. The Farm Act of 2014 made Industrial Hemp legal in all 50 states. CBD extracted from Industrial Hemp does have trace amounts of THC, but if kept under .3% it is legal. All the CBD products we deal with fall below this legal limit. People often ask, will THC show on a drug test. While there are only trace amounts of THC in Hemp Extract CBD, it very well may show on a drug test. If your livelihood would be affected by a positive test, talk to your employer before using it. It seems like everyone is talking about CBD these days, and most of the benefits sound like they are just “too good to be true”. I was skeptical initially but from my personal experience and research I now believe that CBD is the real deal. It doesn’t work for everyone, but what it does do for many is incredible. I think the biggest mistake people make initially is they don’t take enough. I made the same mistake initially with CBD oil. I started using CBD for pain relief back in 2016. A friend gave me some CBD cream and it worked wonders on my arthritic shoulder pain. I used it every day. I tried CBD oil but felt nothing so I stuck with the cream.. It turned out that I wasn’t taking enough. Now that I was taught how to find the right dose, I take it every day instead of the cream. So don’t write it off if it doesn’t work for you until you are sure you took enough, more on this later. So what can you expect, or hope for? The first thing people notice is they get a better night’s sleep. Let’s face it, if you get better sleep, your body will be able to heal and recover better. That’s hard to argue. CBD is known to help with chronic pain relief, anxiety, depression, irritable bowel, PTSD and a host of other health conditions. The best part is that once you determine the proper dose for you, you notice the benefits right away. There’s no need to take it for weeks or months to get results. ** There are also NO reported side effects using CBD. So how do you take CBD?. The most popular methods are tinctures, or CBD oil taken orally under your tongue, topical creams/patches or sprays, and vaping. Vaping delivers the fastest benefits, but you must take it regularly throughout the day. That makes it inconvenient for most people. Topical creams work really well for specific pain in joints or muscles. CBD oil works the best for me, I get the joint pain relief along with the better sleep, reduced anxiety. It works systemically, throughout the entire body, not just at the point of topical application. So let’s stick with CBD oil at this point. You’ll find it offered everywhere, at a wide range of pricing. How do you choose? First, look for a Full Spectrum hemp oil, not an isolate. Full Spectrum means they extract all the cannabinoids from the hemp plant, not just CBD. There are over 100 cannabinoids in hemp, and they offer benefits. They say, why not use everything the plant has to offer? Next, calculate your cost per milligram of CBD that is actually in the bottle. This is where is can get confusing. Many companies make it hard to determine how much CBD is actually in the bottle and or how much CBD is in each drop or dropper. If you can’t make a simple calculation based on the numbers on the bottle, find another brand. Simply divide the price in dollars by the total amount of CBD in milligrams.. If your bottle costs $60 and contains 300 milligrams of CBD, 60 divided by 300 equals 20 cents per milligram. That is too much by the way. The brand we use is 6 cents per milligram at its retail price. Look to see how many ingredients are in the bottle, especially artificial sweeteners. That tells me they are trying to cover up the bad taste, probably due to a low quality product. It should list just CBD and the type of oil they cut it with, Safflower, Olive or Coconut/MCT oil. Anything else is suspect in my opinion. Is the hemp plant organic? Is it non-GMO? Is it grown in the USA. Is it independently lab tested by every batch? The brand we use is Organic, non-GMO and grown in Oregon, as well as lab tested for every batch. It is also the lowest cost per dose we’ve found, so we are not paying a premium for all the higher quality attributes. So how much should you take? Proper dosing is important, and it’s different for each person. We recommend starting with 15-20 milligrams of CBD per day, half in the morning and half a few hours before bed. We’ve selected Clean Remedies. They are headquartered here in Ohio and have operated in Colorado for the past 6 or 7 years. It’s a family owned business and they process and bottle their own products. They are dedicated to making high quality medicine at an affordable price. Staci and I have known the owner’s family for over 20 years and we trust them. We actually meet with them face to face on a regular basis. They have the highest quality products at the lowest ‘per milligram’ cost that we’ve found anywhere. Plus they have a great wholesale program available for CrossFit and micro gyms as well as health-related studios to offer CBD products to their clients. If you own a gym or studio, contact us for more details. We’re happy to help you started. According to CR, over half of people who have tried CBD oil replaced or reduced their prescription drugs, with little to no side effects. There are potential negative interactions with some drugs. You should consult your physician if you are concerned about interactions with certain prescription drugs you are taking. Stay tuned for more videos where I go into more details about proper dosing and brand comparisons and selection, as well as spotlighting some of our clients with their testimonials. Please don’t hesitate to contact me with any questions. My email is [email protected] and my cell is 440-915-7856.